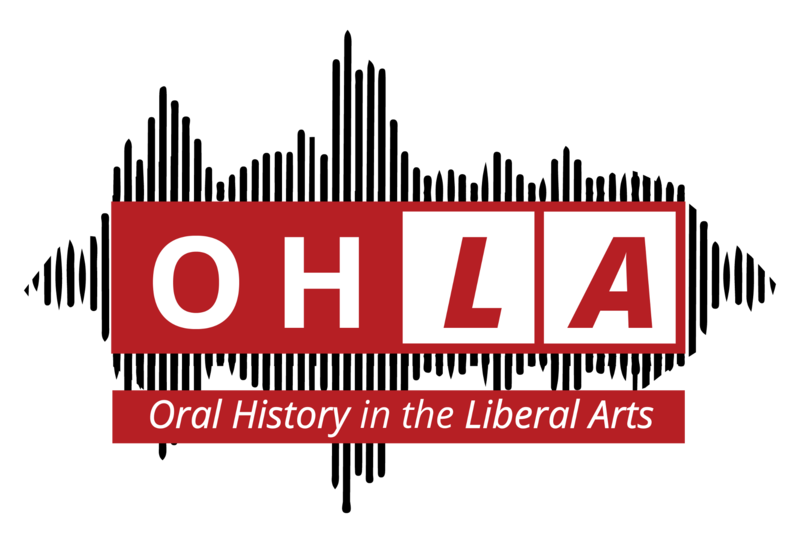 In Spring 2016, I offered a new course “Latina/o Oral History” for the first time at Oberlin College. As an upper division elective course in Comparative American Studies Department (CAS), I was confident that the course would resonate with students’ burgeoning interests in oral history methodologies; that it would further CAS’s commitment to curricular offerings that involved community-based research and engagement; and, perhaps more selfishly, it allowed me to grow as a scholar to learn and develop methodological skills that I valued and that would allow me to remain connected to Latina/o communities beyond the college. Thankfully all of these hopes were realized and, in fact, exceeded my expectations. Since that first semester, Latina/o/x Oral History has been taught twice by my colleague, Adrian Bautista, who has managed to balance his hefty administrative duties with being a dedicated professor offering a labor intensive course. And as we have both commented over the years with each other and our colleagues, we remain steadfast in our belief that oral history courses—and, in this case, one that offers students an ethical and ongoing engagement with Latina/o communities in Northeast Ohio—are both precisely the kinds of courses that exemplify that are increasingly referred to and valued as “high impact” or “connected learning” practices. And, perhaps most importantly, they are precisely the kinds of courses that students often identify as what they had hoped liberal arts learning would entail, transforming them and their ideas about their engagement in the world in surprising and meaningful ways. 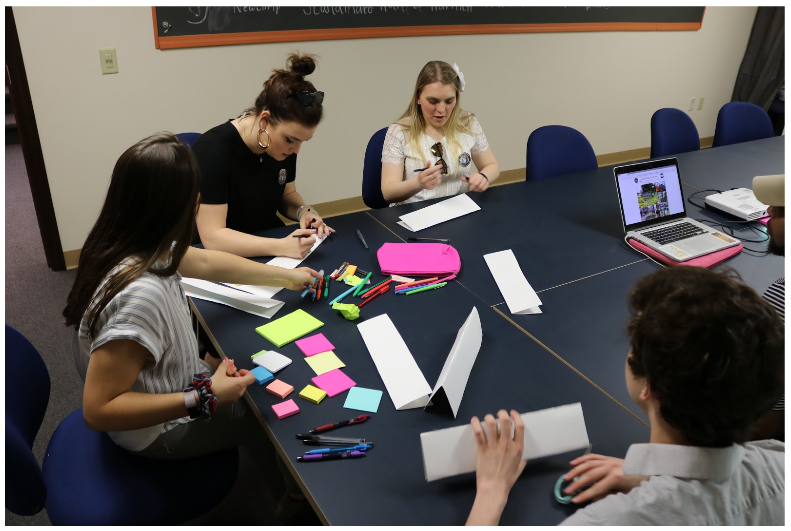 As ethnographers and qualitative researchers who seek ways to connect our research to our teaching, we couldn’t agree with our students more: Oral history methodologies exemplify the values of liberal arts learning. 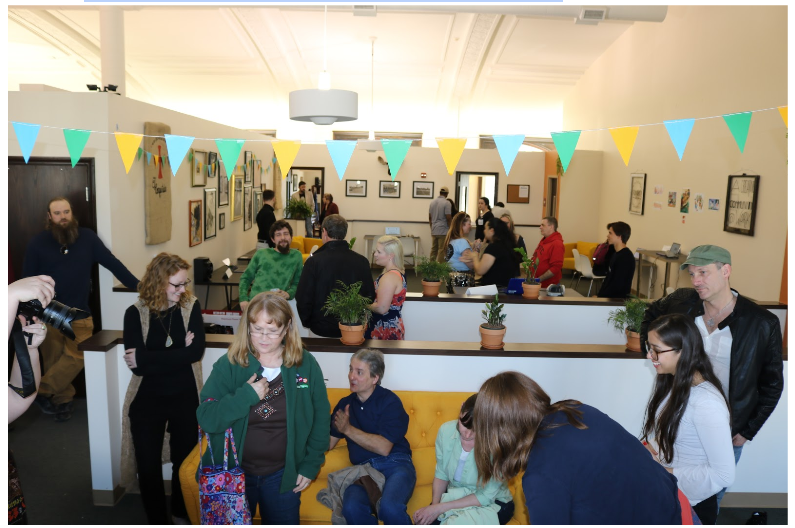 At Oberlin we have been fortunate to have support from our departments and administrators for this kind of work. But we finish our third year offering Latina/o/x Oral History we are faced with a problem that is probably not unfamiliar to our colleagues elsewhere: Given the need to meet a range of curricular offerings, service work, and administrative demands, how do we ensure such a course is a regular curricular offering? What happens to Latina/o/x Oral History when other courses need to be taught or our service and administrative duties make it impossible for us to offer the course regularly? These are precisely the kinds of questions that prompted us to meet with our colleagues in American Studies, History, and, most importantly, Oberlin’s Bonner Center for Service and Learning to see how we might continue to offer a course in oral history given its importance for our students and us as teachers. 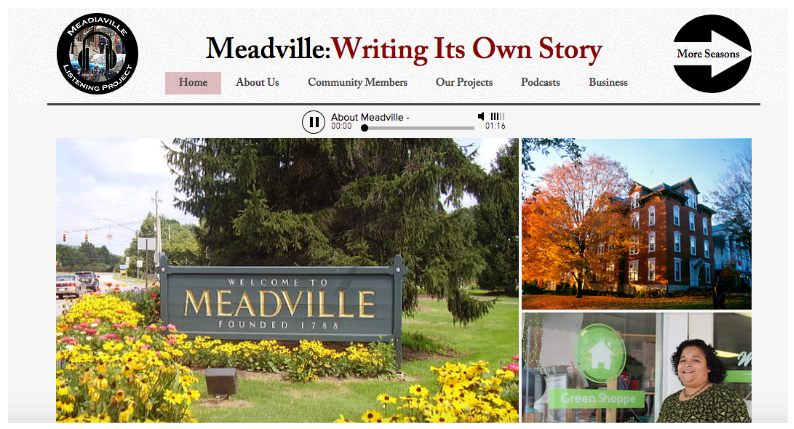 In that meeting, we discussed a range of creative strategies to preserve oral history methodologies in our curricular offerings. For example, can we take advantage of Oberlin’s Winter Term period in January to both train students and preserve continuity with community members in ongoing projects? Is it possible to include an oral history component to courses that we are scheduled to offer (say, Immigration History or Latina/o Oral History) and, if so, do we make it required for all student or do we make it extra credit? And how can we uses the resources and students’ commitment to service learning though our Bonner Center to preserve and strengthen valuable community partnerships that exceed the formal curricular offerings? How does the co-curricular complement the curricular? 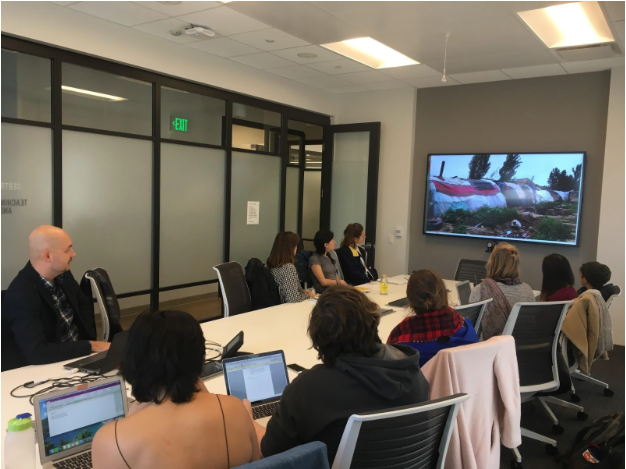 We’ve had the opportunity to integrate into CAST 335 class sessions time with visiting scholars whose visits were coordinated by other offices. These folks have included Prof. Tania Mitchell (Indiana University/community engagement), Meredith Evans (Jimmy Carter Library and Museum), and Prof. Albert Camarillo (Stanford University). These were some of the ideas that we generated in that brief meeting with colleagues as we collectively sought ways to preserve oral history methodologies for our students and ourselves. As we look to AY 2018-2019 we are hopeful that although Latina/o/x Oral History may not be formally offered, there is a commitment to seeking out creative ways to preserve relationships, support student engagement and community-based research, and to nurturing our own enthusiasm for the best that liberal arts teaching and learning has to offer all of us. And perhaps most importantly, a strong institutional commitment to community engagement appears to be gaining strength as several new First-Year Orientation programs will be offered this fall including an “Engage Cleveland” activity, which will see all new students make a trip to Cleveland (this is in addition to our longstanding Day of Service) and a new program intended to introduce first-years to leaders in the Oberlin community. 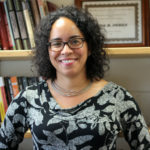 Gina Perez is a cultural anthropologist and Professor in the Comparative American Studies Program at Oberlin College. She has been involved in ethnographic work in Latina/o communities in Chicago, Lorain, Ohio and Puerto Rico and is currently engaged in oral history projects connecting Oberlin College students and Latina/o residents and community members in Lorain and Northeast Ohio.